DC Fast Chargers (DCFCs) and Tesla superchargers are a key element in electric vehicle (EV) charging infrastructure that could facilitate wider adoption of EVs by enabling recharging that comes to resemble the time currently taken for gas station stops, and thereby reducing “range anxiety” for drivers. However, the pricing structure for electrical costs incurred at commercial DC fast chargers is currently prohibitive, because it includes a special fee called a “demand charge”. Rate design in a number of states includes this additional charge, based on the “peak rate” on electric power consumed in kW. 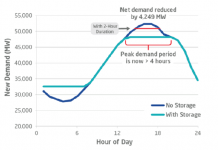 In New York, demand charges are determined from max instantaneous demand, the amount used in any 15-30min segment in a monthly billing cycle (not from coincident peak demand which is user demand that coincides with peak system demand). This is a separate factor, distinct from the volume of electricity actually consumed, which as priced in kWhs and referred to as the “volumetric charges”. Demand charges were originally conceived to apply to small to medium commercial enterprises with high utilization, to incentivize reduction of demand during periods of demand congestion. As long as such businesses have peak instantaneous demand that coincides with periods of demand congestion, then these businesses can be said to be paying a fair rate for their cost of service. DCFCs by contrast are “low utilization” enterprises, with low monthly load factor at current low levels of EV penetration, despite high capacity factors. 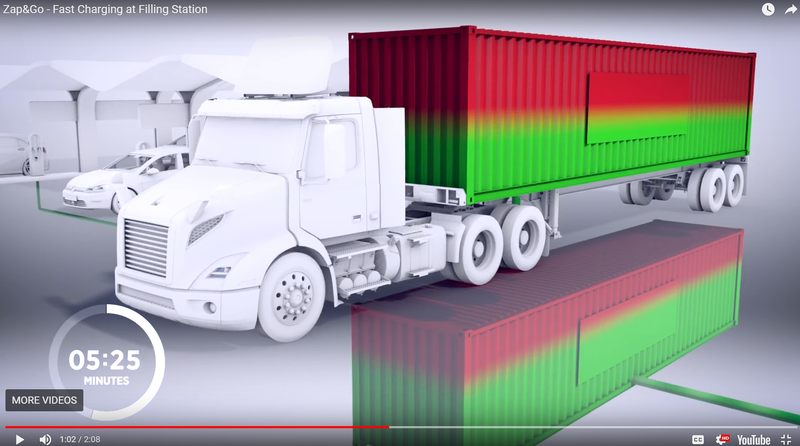 DCFC load profiles are intermittent and random, as compared to the load profile for typical commercial entities driving demand. Consequently, peak instantaneous demand only rarely coincides with periods of demand congestion. Demand charges for DCFCs not only fail to align with the cost of delivering power, they are so disproportionate as a percentage of costs that even the NY Power Authority recognizes that the business proposition is rendered infeasible, precluding a viable case for DCFC investments. 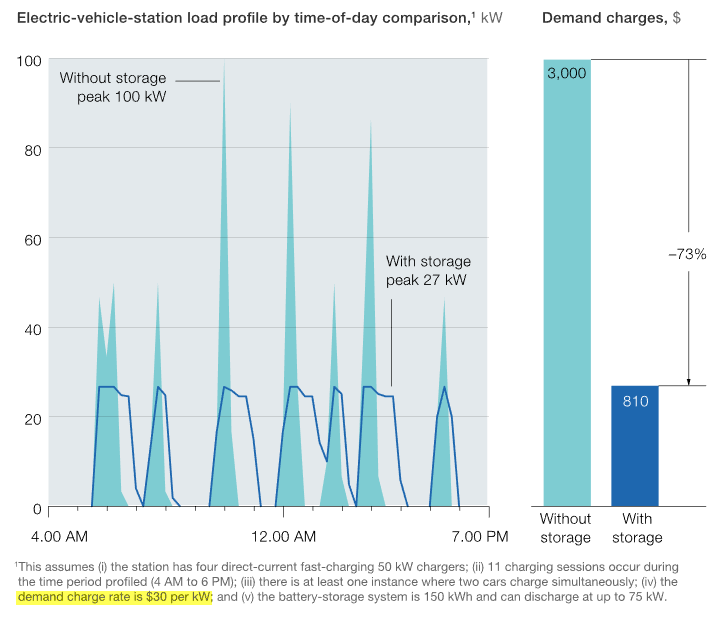 Two examples of the calculations demonstrate the problem – one included in a recent NY Power Authority petition to the Public Service Commission, the other in a Mckinsey consulting analysis (How battery storage can help charge the EV market) as shown in the graphic below. 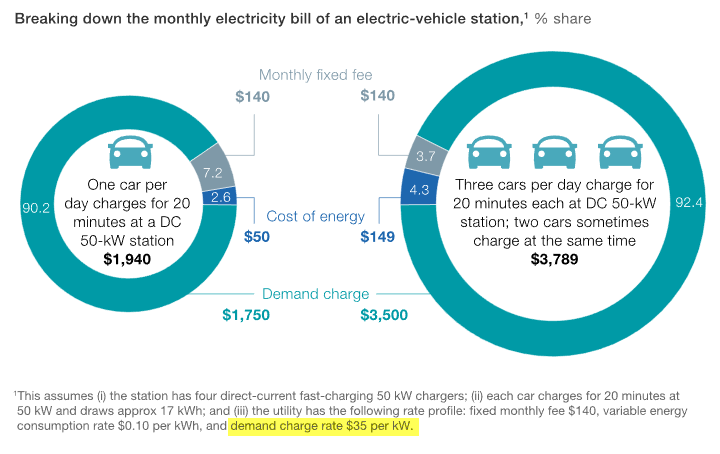 Comparing the two examples in the table below, the NYPA version shows that demand charges constitute almost 80% of costs, which are roughly confirmed by the 90% shown in the McKinsey version. The ratio is not improved by 3x scaling as shown in the graphic, because the increased utilization also raises the total instantaneous demand. As currently structured, in NY as well as in other states facing similar considerations, it is increasingly recognized that demand charges applied to low utilization, intermittent DCFC stations do little to mitigate impacts to peak load, but rather result in disincentives to development that are inconsistent with other state goals. 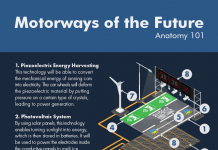 In New York, a goal of 800,000 electric vehicles by 2025 was set under the Multi-State Memo of Understanding, and since there are less than 30,000 on the road in 2108, in order to add 110,000 EVs per year for the next 7 years, some dramatic incentives will be needed to accelerate infrastructure penetration and EV adoption. A Rocky Mountain Institute study from Oct ‘17 contended that eliminating demand charges for DCFCs is consistent with societal objectives of vehicle electrification. Creating a business opportunity for companies that provide public EV charging is a societal objective and hence these companies should be able to earn a reasonable profit providing a valuable service & maintaining publically available charging equipment. 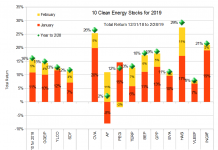 Even if volumetric tariffs for public DCFCs does not recover all system costs incurred, some costs could be justifiably recovered from general customer base, because DCFC’s provide a public benefit in air pollution reduction & other local economic benefits. Other states have taken similar action on demand charges for DCFCs, and offer various strategies for immediate elimination followed by incrementally adding them back in as utilization rates increase, such that incentives are structured to synergize with Time of Use rates to encourage charging at off peak periods. 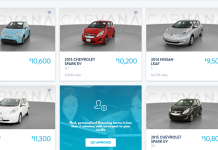 CO2 reductions due to EV adoption would be valued at $64 million by 2025. Supporting comments were filed 7/23/18 by the Sierra Club and Natural Resources Defense Counsel. Readers can view other comments that have been filed under the case number 18-E-0138 by numerous other industry participants, including by companies producing charging equipment, vehicles and charging networks [Tesla (TSLA), Greenlots, ChargePoint, EVgo, Siemens (SIE.DE, SIEGY), BYD (BYDDY, a Chinese electric bus manufacturer)], non-profit public interest organizations [RMI, NY Battery & Energy storage Tech Consortium, Advanced Energy Economy Institute, City of NY], and utilities [Orange & Rockland, PSEG (PEG), Niagara Mohawk, National Grid (NGG)] and others. If this regulatory shift can be achieved, an accelerated transition to electrification of transportation is being envisioned in some interesting media. NYPA offers a vision for DCFC corridors that can provide 200 miles of range in 10 minutes of charge. Tesla has the most evolved vision for DCFC infrastructure, with over 1200 supercharger stations and 10,000 superchargers globally, and is promoting 3rd party development of charging convenience stops. Projects linking remote renewable supply to DCFCs are also emerging. One such example was the remote net metering proposal from an independent renewable generator (small hydro) providing dedicated supply to an independent gas station chain in NY (Stewarts). 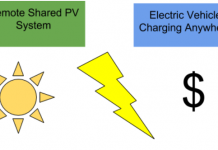 For charging station developers, the battle is being waged on two fronts: 1) to change the Demand Charge regulatory environment and 2) to develop charging facilities that integrate battery storage to benefit from time of use charging, and peak shaving discharge to smooth the load profiles and thereby avoid or reduce Demand Charge pricing, supplemented by PV generation on solar carports. Peak smoothing has the potential to significantly reduce the burden of demand charges, even if there is no regulatory relief, as shown in the calculations below, in this estimate by 73%. 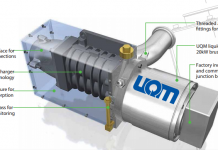 Perhaps the most forward looking is the vision of tech firm ZapGo, which is developing carbon ion supercapacitors that will be integrated with batteries to enable very short charging times, both for end user vehicles and for supply trucks envisioned be able to deliver fast recharging of bulk storage in filling station environments. Both technology and regulatory solutions need to be aggressively pursued in order to achieve the goals being set forth, for reduction of GHG’s and dramatically increased electrification of transportation. Daryl Roberts has been following renewable energy technology & policy for 20 years, recently most interested in EV charging infrastructure, community solar development and net metering policy, utility scale solar development, project financing, and renewable energy asset management. He has participated in Sierra Club electric vehicle policy initiatives, and offered consulting for grant applications to install municipal EV charging stations. He has been involved with business plan development for commercial projects in diverse technologies, municipal solid waste gasification, PV fabrication on architectural glass, and LENR research. Previously he worked for almost 20 years in litigated medical malpractice claims.